Caravan Club 2012 GPS POI download – Do your dream! 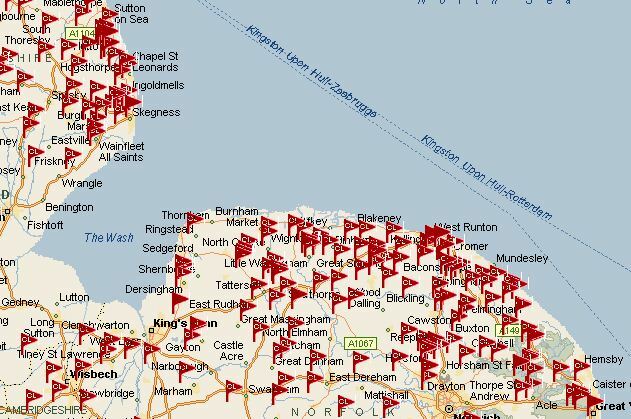 As of April 2012, the Caravan Club have released their 2012 version of their data for Caravan Club Sites, CLs and now their Caravan Club Abroad sites. These are available direct from the caravan club site. However, these as normal, are not available in the formats I and others want, namely Autoroute and Google Earth. See below for a screen shot from Autoroute 2011 as an example of the data points. Pingback: Caravan Club GPS POIs 2012 now available! Thanks for the file on CC CL’s but might I advise that having used quite a number of the places, I have found that everyone so far was not in the location that the co-ordinates advised. One location was at the entrance to a footpath which I don’t think our outfit was narrow enough to go down, even though the actual CL was over a mile away! While all the ‘anomalies’ have been fed back to the CC over the time we have been using them, I have yet to see a correction appearing in the Sites Directory. I now use Google Earth in combination with the co-ordinates to ensure I am going to the correct place. Trying to turn around in some of the places we have been led to is not for the faint hearted or a scratch free outfit!